Photos of the completed projects are shown below and the artwork will be displayed at Coast Collective Art Gallery and will travel to community events throughout the summer. Special thanks to our talented and energetic art facilitator, Rebecca Barnard, who mentored all the student groups through their projects. 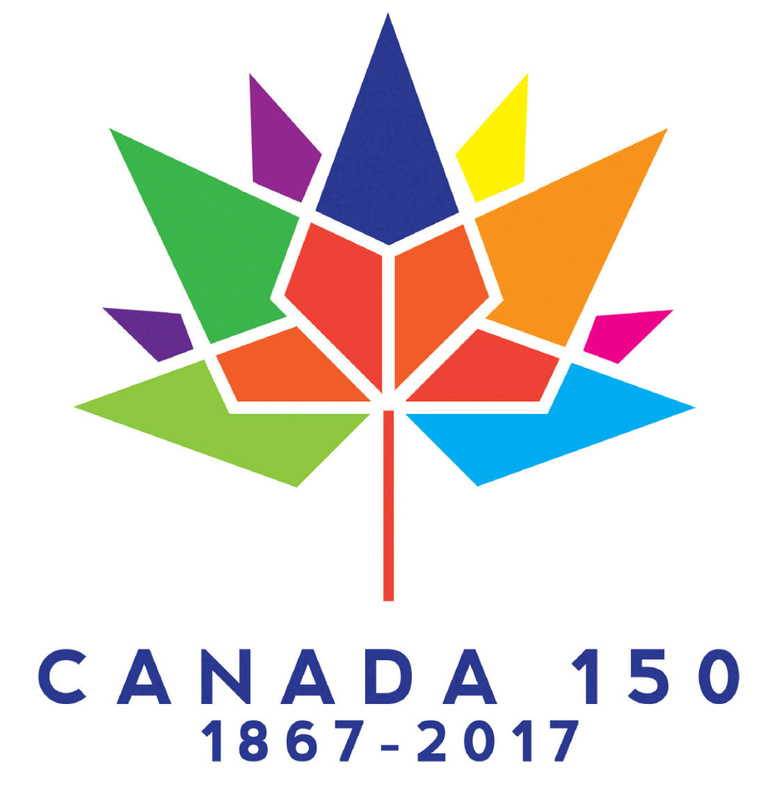 Thanks also to Scott McDonald, Colwood's tireless Canada 150 Community Leader! 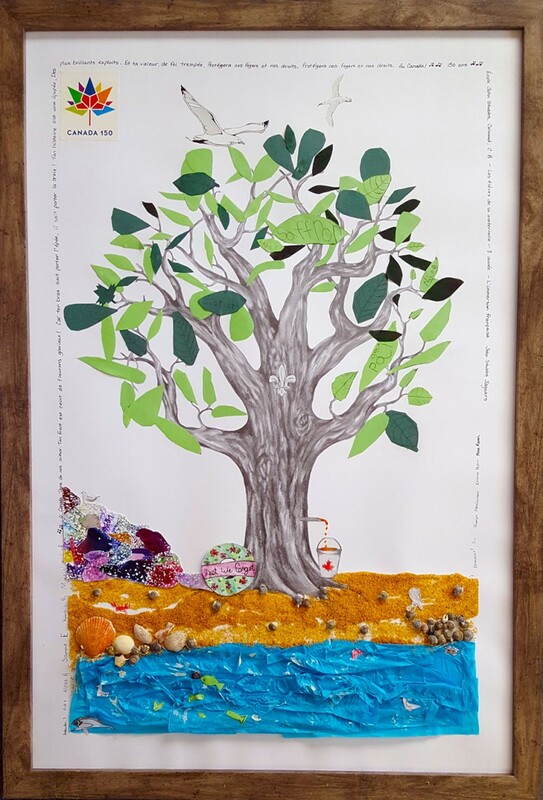 Nearly 3000 people voted for their favourite Colwood Student Art Tree Project. 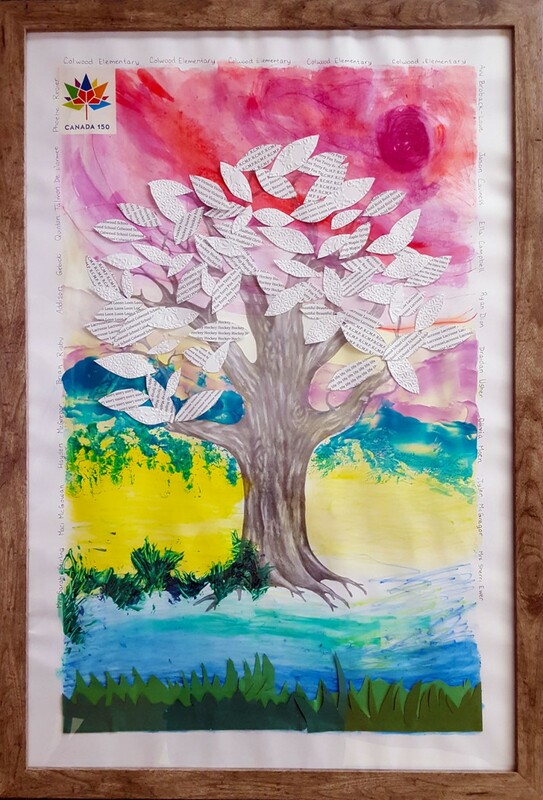 Congratulations to Wishart Elementary students, whose artwork received the most votes. Wishart Elementary received 1041 votes, followed closely by Sangster Elementary with 907 votes. All the projects received strong support and there are prizes for all the schools and groups who created amazing works of art. The contest was viewed a whopping 14,323 times and the total number of voters was 2,888. THANK YOU everyone for getting involved. 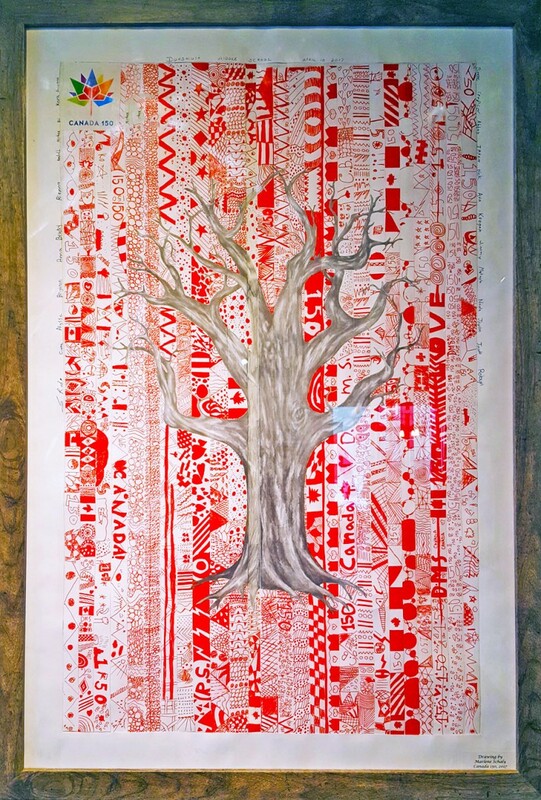 Votes were cast online in the Colwood Canada150 Art Tree Projects Poll. Voting closed at 4:30pm on April 30th. Our tree shows the parks, mountains, ocean and beautiful sunrises and sunsets we enjoy in Colwood. Each leaf has words describing things we love about Canada: Hockey, Colwood School, Forest, Life, Victoria, Beautiful, Terry Fox, RCMP, Loon, Lacrosse, Maple Syrup, Beaver, Chris Hadfield, Moose. What would your leaf say? Students focused on nature and learning: birds and feathers, dogwood blossoms, mossy trees, eagles, rainbows, books, and schools. Kindergarten and grade 2 students copied their words onto feathers. 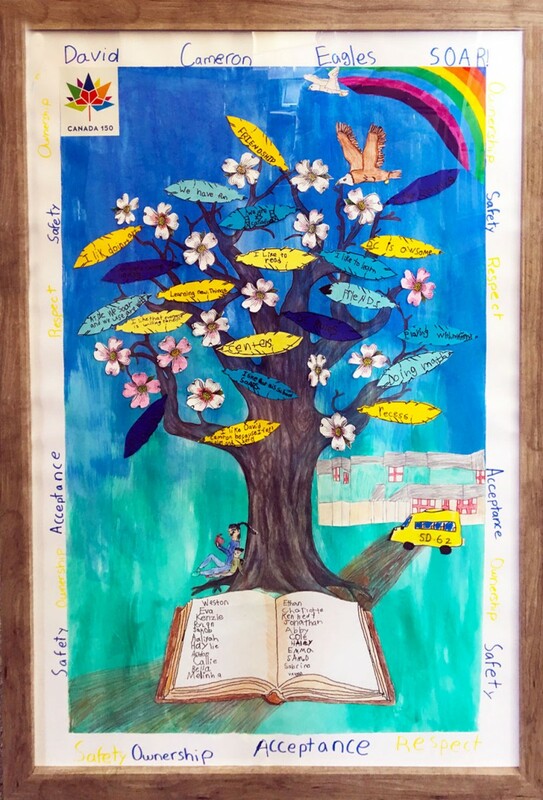 Older students added the rainbow, blossoms, and other features. Each student printed their name in the book. They added their school motto around the edge. Our class agreed that they would like to doodle or zentangle a piece. We reflected on symbols and words that are related to the event and talked about including them in the piece. The result was MARVELOUS! This class collaboration was such a success and will be a grand memory for us, the rest of our lives. HappY BirthdaY CaNaDa! ​We consider the ocean an outdoor classroom we can walk to from our school. Many of our students are part of the military community in Belmont Park so we included the wreath. Our school is French Immersion, so you will see the maple syrup bucket and the French fleur-de-lis. The words to the national anthem are written in French to frame our artwork. Sangster Elementary School is bordered by Royal Roads Forest and is home to the Nature Kindergarten Program. Students feel at home in the old growth forest where they gathered leaves, branches, moss, lichen, small stones and pine cones. Then they added children, which they 'dressed' in coloured paper and added faces, hats and wool hair. Then each student carefully printed their name around the border of the project. 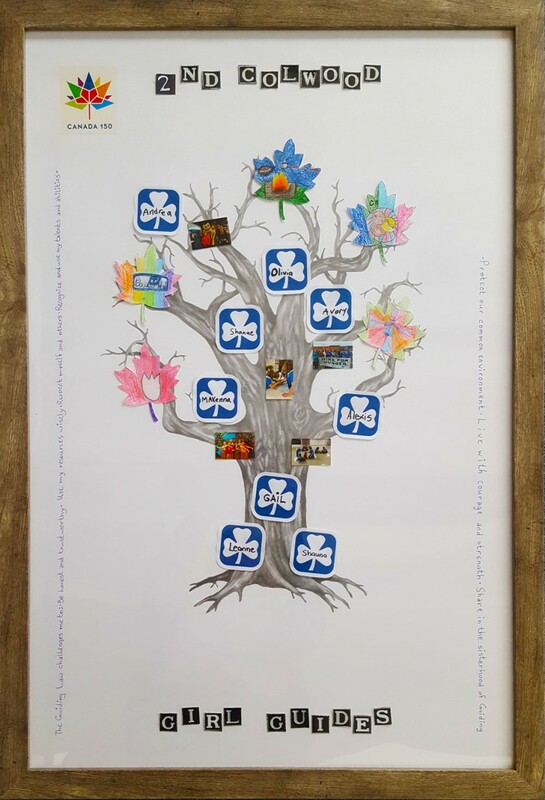 Girl Guides are as Canadian as the maple leaf, so we used maple leaves with images of a flower, tents, s'mores, Girl Guide cookies and a camp sign. The leaders added photos from memorable events. Finally each Girl Guide printed her name on a Trefoil Girl Guide symbol and the Girl Guide Laws were printed around the outside as a matte. Wishart students know that youth are the future of Canada - the country they love - and that our diversity is our strength. 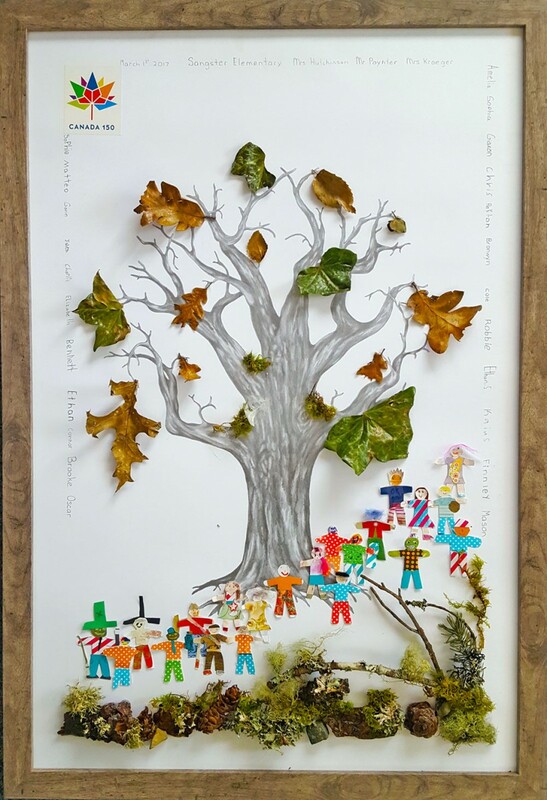 They used the colours of the rainbow to create textured heart 'leaves' for their tree and the words "We make the world go round". Each student signed their name around the edge of the artwork.